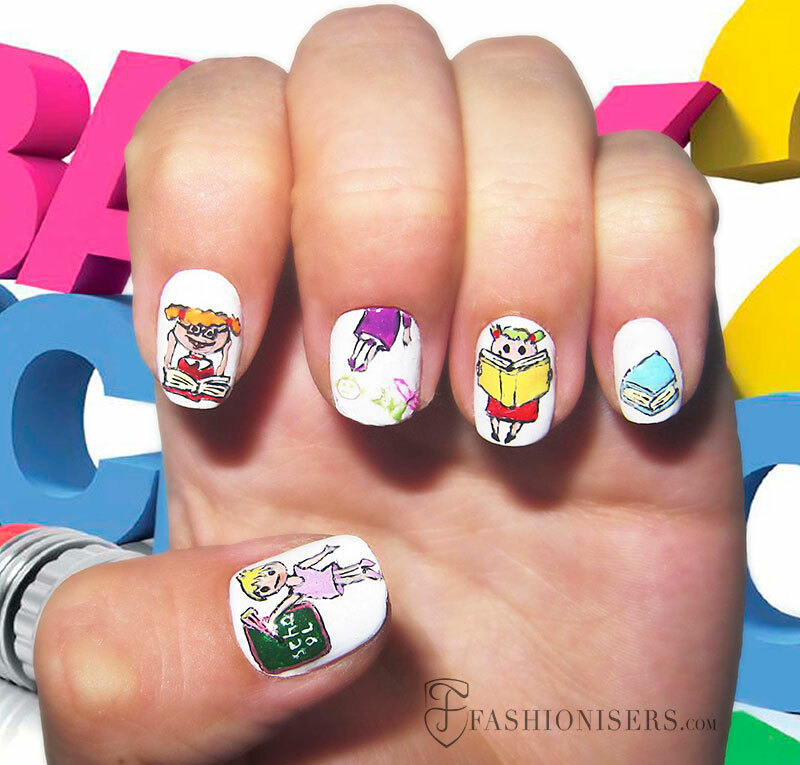 Cute back to school nail art designs are one of the sweetest ways of paying tribute to September and plunging into school-time reveries! 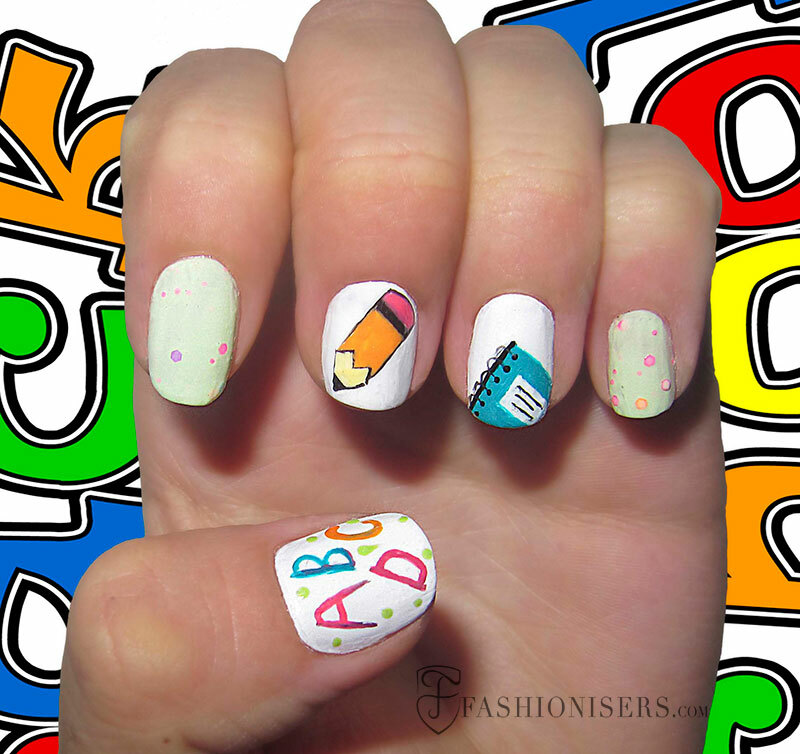 Whether you are one of those getting ready for the new school days or you just want to remember your reckless childhood and teen years, these 12 back to school nail art designs can provide you with endless inspiration for totally memorable and outstanding looks. Small details always complete looks perfectly and nails to this end play a crucial role for creating the ultimately well-groomed and flirty effect. 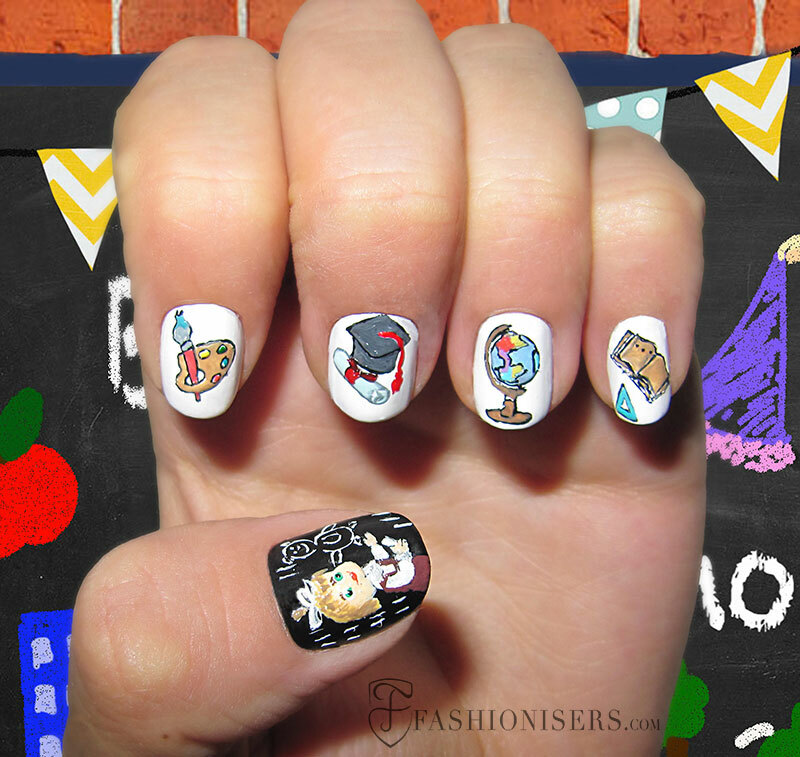 If wearing back to school outfits is too much for you, you can always rely on your fantasy, mix and match various nail colors and come up with unbelievably cute and complex nail designs that always deserve admiration. 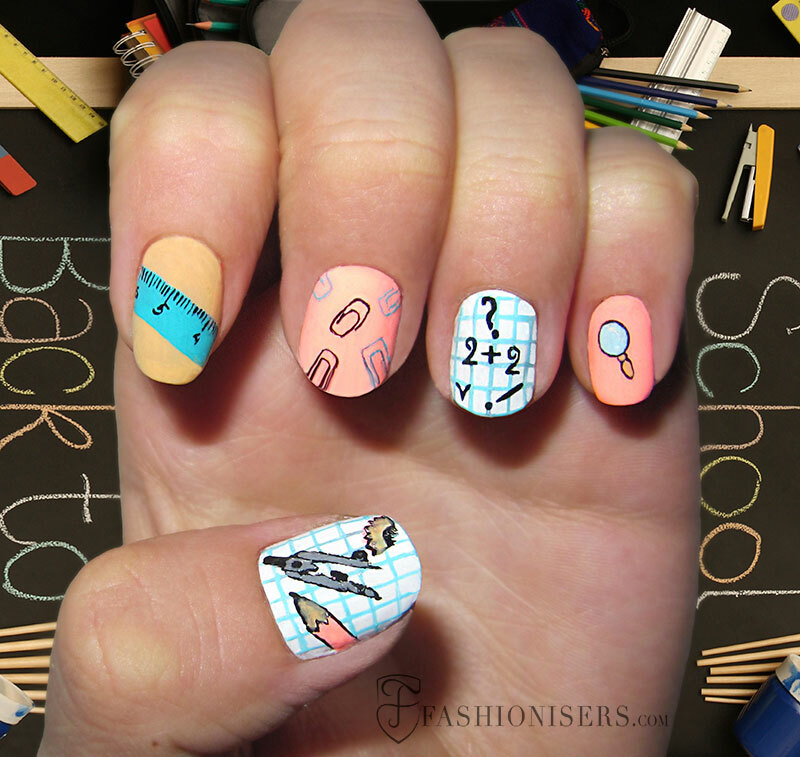 Trying to create successful back to school nail designs, you first of all need to determine the style and the colors of the nail polishes you are ready to wear. 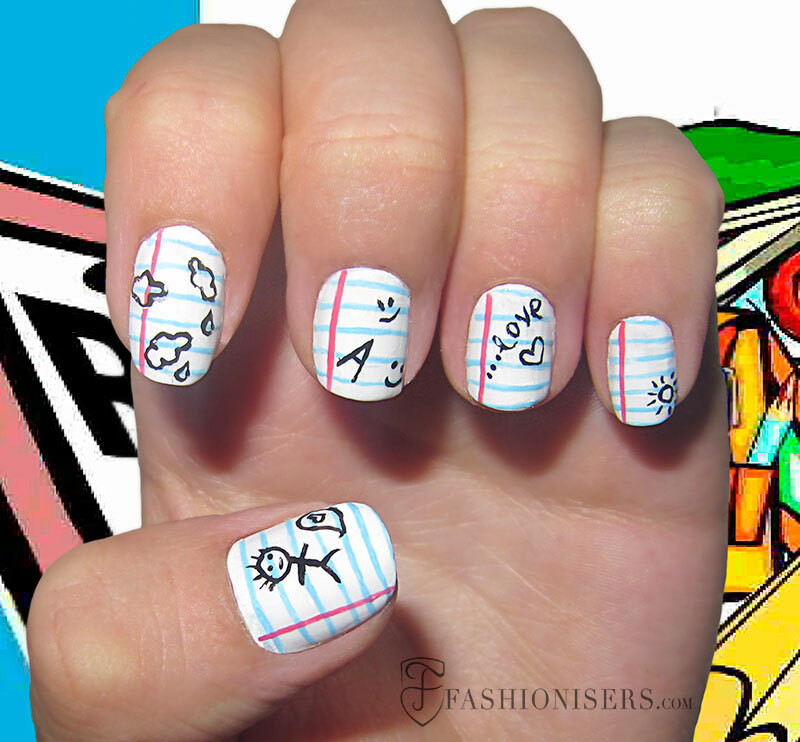 Picturing all the office & school supplies on your nails can always lead to perfection. 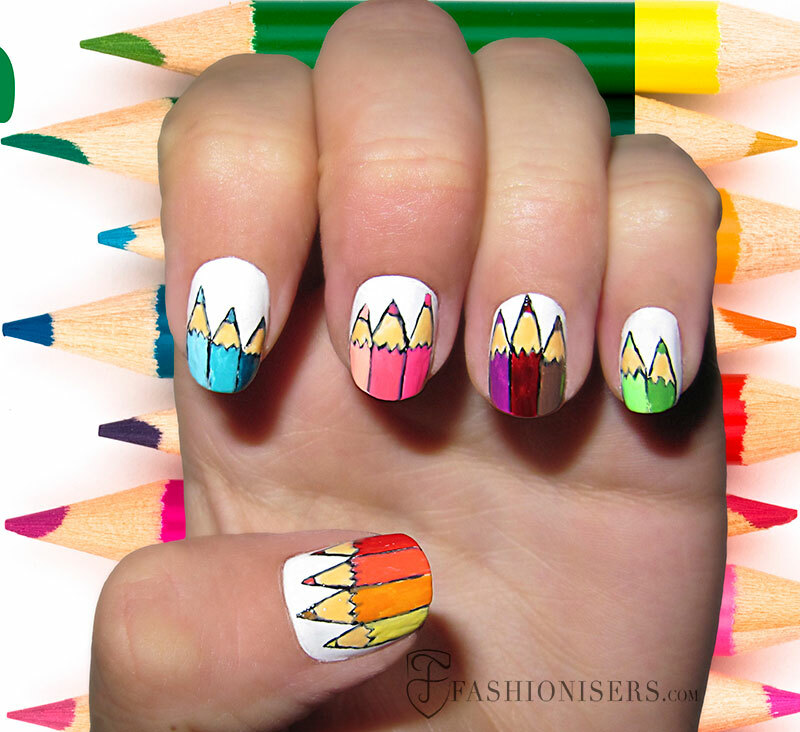 Just go for images of colorful pencils, pens, brushes, books, backpacks, scissors, rulers or letters and there you have simple and lovely back to school nails that will be the center of everyone’s attention. You can either leave your four fingers blank and picture just one cute school-related image on your fifth finger, or you can go even bolder and more colorful, trying to tell an entire school story through all your five fingers. If minimalism and polished looks is what you are looking for, you can pick a white lacquer, apply it on all your five fingertips and then draw parallel lines with a blue shade on it crossed with a single pink line that will help you create the effect of notebook papers on your nails. Now, start writing or drawing something on these “papers’ for the cheerful and frisky outcome. 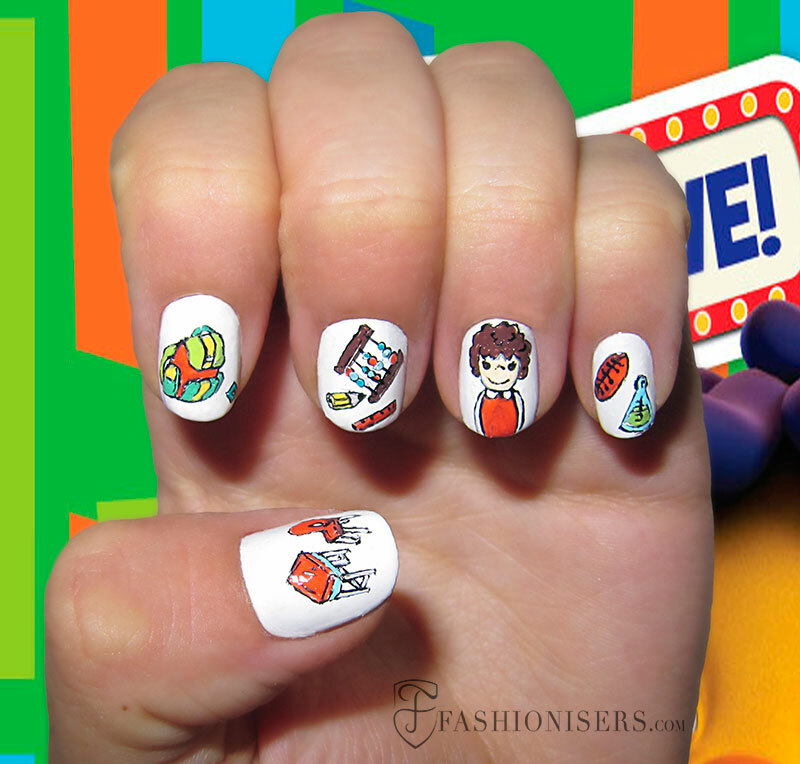 If you have mastered your nail art skills and can easily picture any image on your nails, you can also go for cute schoolgirl and schoolboy images, playing, studying and preparing for the college days. 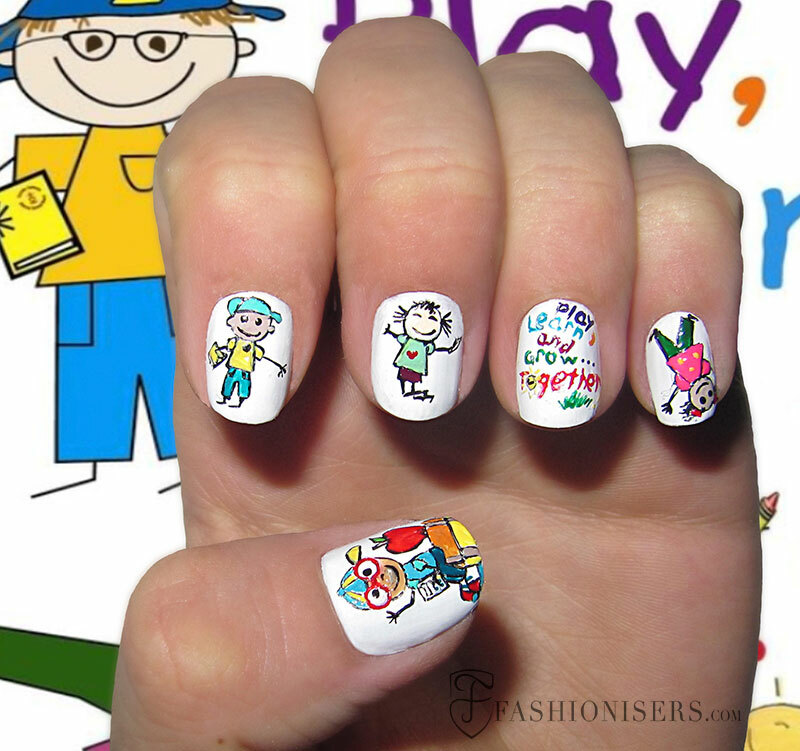 The symbolic yellow school buses, blackboards with chalks and school buildings are other images that you can draw on your nails. While nails stickers are always there to help you, doing it all on your own leads to more exciting and unique looks even if your nails feature slight imperfections. 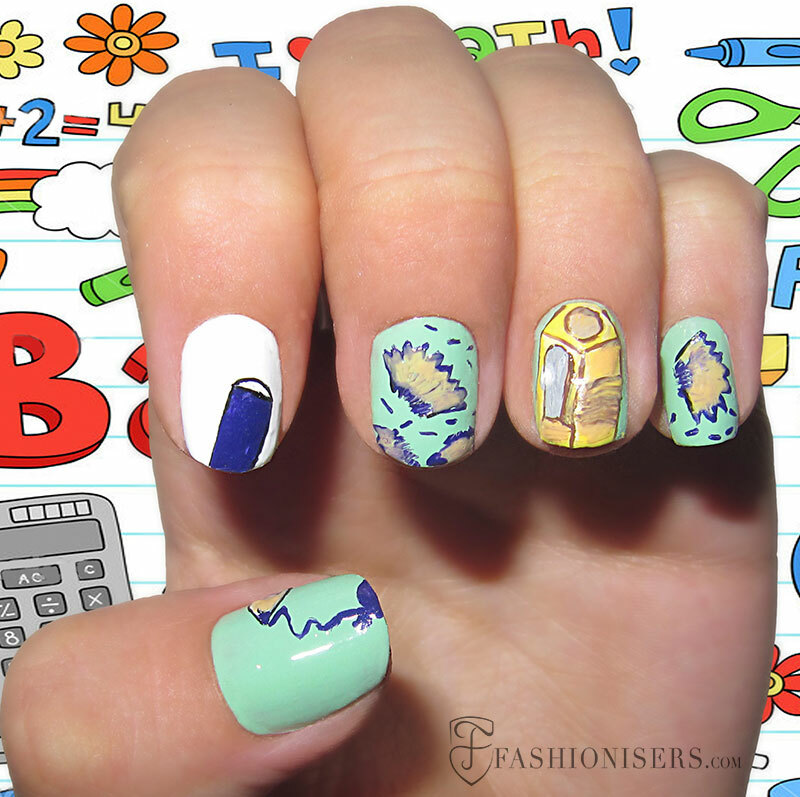 Our back to school nail art designs aren’t a result of using nail stickers, which proves it that you can also do it on your own. Just trust your drawing skills, be creative and unique and get into the careless teen mood, recreating any of these cool back to school nail designs! The result it always going to be something show-stopping and wow-worthy!